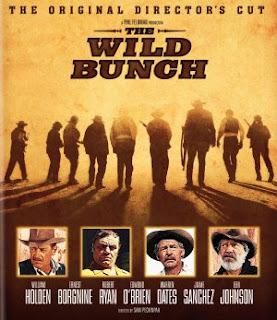 In 1969, Warner Brothers/Seven Arts released THE WILD BUNCH -- arguably one of the greatest Westerns of all time. The stellar cast included such luminaries as William Holden, Ernest Borgnine, Robert Ryan, Edmond O'Brien, Warren Oates, Ben Johnson and the always engaging Strother Martin. Fast paced, beautifully photographed and full of hard-hitting action, the film has become a classic thanks to the uncompromising and controversial vision of its Director, Sam Peckinpah. Although the setting may be the Mexican Revolution of 1914, Peckinpah effectively injects a carefully orchestrated subtext which reflected the concerns of many regarding the continuing loss of individual freedom and the undeniable risk associated with questioning the status quo at the end of the 1960s. Like the gunslingers on the screen, Peckinpah was convinced that in the United States, at least, the nonconformist was no longer welcome or safe. As a result, THE WILD BUNCH is just as much about the revolutionary time in which it was made as it was about the Old West. All things considered (especially the perceived loss of individual freedom and privacy thanks to certain provisions within the Patriot Act), THE WILD BUNCH is as relevant today as it was some 40 years ago. There is a school of thought that insists that no art of any quality can possibly be produced inside a commercial structure whose principal aim is profit. 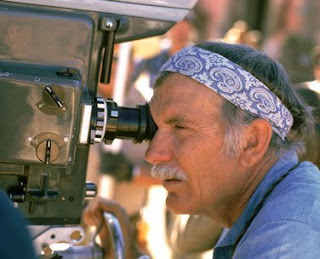 Although Peckinpah worked within the mainstream Hollywood studio system with all of its built-in constraints and corporate cultures, he consistently found ways to accommodate his masters while bringing to the screen not only universally-avowed artistic triumphs, but motion pictures with profound personal viewpoints and multi-layered subtexts which operated on several levels all at once. In this regard Peckinpah stands alongside Alfred Hitchcock, Howard Hawks, Nicholas Ray and John Ford as one of America's most noteworthy, recalcitrant and complex filmmakers. In more recent times, only Oliver Stone has, perhaps, earned a comparable reputation. Irascible, impulsive, irrational, both on and off the set, Peckinpah fully realized that the Western was the one genre that would enable this auteur to express himself and his political beliefs more freely than with any other type of motion picture. (The only other possibility would be Science Fiction). Over 90,000 rounds of blanks were discharged during filming. This is reportedly more rounds than were fired by both sides combined during the entire Mexican Revolution. Peckinpah, along with co-writers Roy N. Sickner and Walton Green, was nominated for an Academy Award. He didn't win; this was his only Oscar nomination. 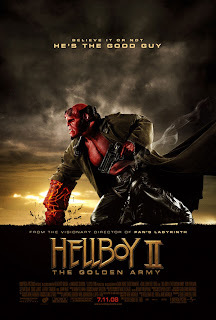 Based on the comic book by Mike Mignola, HELLBOY II is cinema fantastique at its finest. The opening scenes find Professor Trevor Bruttenholm (John Hurt) reading a rousing fairy tale to his adoptive son, Hellboy (Ron Perlman). Seems that back in ancient times there was a brutal war between humans and everyone/everything else -- monsters, goblins, trolls, the Tooth Fairy, just about every frightening creature that surely inhabited the dark recesses under your childhood bed. Eventually a truce was declared; the humans were given the right to live in the cities and the trolls et al were given the forests. As time went by, however, the humans reneged on their end and began building shopping malls, parking lots, subdivisions and Starbucks everywhere. With this unabated encroachment, evil Prince Nuada (Luke Gross) defies his father (the reigning king) and pledges to declare war utilizing the Golden Army, a fighting force of enormous mechanical warriors 70 times 70 in number. The only thing standing between him and his ability to awaken these slumbering behemoths is his sister, Princess Nuala (Anna Walton), and she needs help. Lots of help. Yes, mankind's defense rests primarily on the abilities of Hellboy, his girlfriend Liz Sherman (Selma Blair), his best friend, Abe Sapien (Doug Jones) and other associates employed by the Bureau of Paranormal Research and Defense. 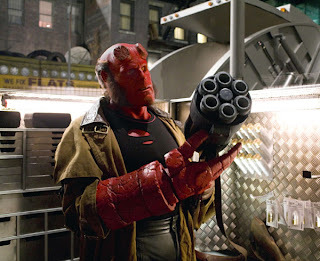 As the taglines for the film state, saving the world is a hell of a job and, believe it or not, Hellboy is the good guy. Thanks to Director del Toro, Cinematographer Guillermo Navarro, Production Designer Stephen Scott and a highly talented special effects crew, HELLBOY II is the best big budget film of the year. All $72 million is where it should be, on the screen, and while the movie is extremely entertaining throughout, two scenes in particular stand out. The incredible Troll Market makes the extraterrestial cantina on Tatooie look as outright boring and bland as a Baptist barbecue in Bulverde. Director del Toro's unique and vivid imagination bombards the screen with a breathtaking beastiary that one needs to see over and over again if all the imbeded nuances are to be discovered. What a treat, I've never seen anything quite like this -- and I've been to a flea market in Ponca City. The other fabulous scene finds Hellboy and Abe in drunken reverie serenading one another. You'll never hear Barry Manilow's "Can't Smile Without You" again without recalling HELLBOY II...and doing so with a great big smile on your face. This is an unforgettable scene that will surely take its place in cinema history along with other memorable movie moments like the campfire scene in BLAZING SADDLES or Slim Pickens riding the atomic bomb in DR. STRANGELOVE or the passage of the ocean liner in the fog in Fellini's AMARCORD. Having said this, please remind your Uncle Bob to steer clear of Tecate Light. A final comment: The dialogue in HELLBOY II is blessed with an abundance of humor and wit (caustic and otherwise). Many of the best lines have already been mentioned in other reviews ("I know; I'm ugly! "), but our favorite has to be: "I'm not a child, I'm a tumor!" Last night's telecast of the Miss Universe Pageant was viewed by over one billion people worldwide. This incredible number occupies the same ratings stratosphere as Soccer's World Cup and the Olympics -- we can think of no other event that comes close. Of course, the staff at Needtovent.com always takes the time to tune in and last night was no exception. As for Miss America, this year's representative for Uncle Sam was Crystle Stewart who surprisingly followed in the footsteps of last year's Miss America, Rachel Smith, by falling to the floor as she made her entrance in the evening gown competition. Who said history doesn't repeat itself? Speaking of history, we have 1951s Miss America, Yolande Betbeze, to thank for the creation of this exceptional event. You see, Ms. Betbeze refused to pose in a swimsuit that year and Catalina swimwear, a major sponsor of the Miss America Pageant, pulled its support. One year later they helped establish both Miss Universe and Miss USA. I wonder what Bert Parks thinks. While Miss Venezuela can eat crackers anywhere she wants in our little Texas Hill Country abode, there were other contestants that we thought were even more beautiful. There's always a Keebler product on hand awaiting any of these six should they ever want to visit the limitless shopping opportunities that abound right here, in Bulverde, where things of beauty are as rare as Obama supporters. "What you are about to see is a matter of human record. Explain it: We cannot. Disprove it: We cannot. We simply invite you to explore with us the amazing world of the Unknown ... to take that One Step ... Beyond." These opening words from Host John Newland preceded Rod Serling's introduction to THE TWILIGHT ZONE by ten months. One can argue that from 1959-1961 this ABC Network series delivered more chills than virtually any other program in television history. Fully sponsored by Alcoa Aluminum, it certainly can lay claim to being the first of its kind to hit the airwaves, and, perhaps even more importantly, the stories it presented were based on real-life occurrences. As Mr. Newland verified to John Muir in his last public interview, "It had to be real and there had to be proof, either anecdotal or published." In addition, the eerie theme song by Harry Lubin, appropriately titled "Fear," was even more visceral, more effective than that of its longer-running rival on NBC. 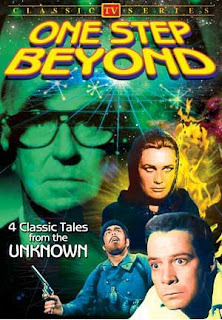 Yes, there's much to like about ONE STEP BEYOND and thanks to the original distributor, Worldvision, failing to renew the copyright, most episodes are now available on DVD. Needtovent's copy, released by Alpha Video, contains what we believe is the best episode from Season One. THE VISION originally aired on March 23, 1959. The cast included Pernell Roberts, H. M. Wynant, Jean Del Val, Bruce Gordon, Peter Miles and Jerry Oddo in a remarkable tale set during World War I. What exactly happened on November 14, 1915, remains a mystery. What we do know is that four French soldiers saw a bright light in the nighttime sky. For inexplicable reasons they felt but never fully understood, they abandoned their posts, discarded their rifles and simply ceased to fight. The four infantrymen were charged with cowardice and sentenced to be executed until, at the very last moment, a chance encounter by their court-appointed defense attorney with a wandering German soldier verified their experience. He, along with others from his unit, had also seen the light and they, too, were overcome with a feeling of serenity and a sensation of peace. Similar reports later came in from Italy and England. 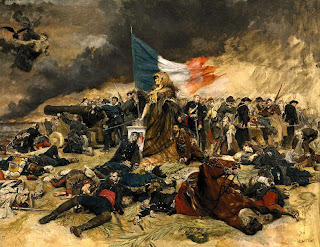 All told, a thousand or more soldiers (French, German, English, Belgian and Italian) simply gave up their will to fight and layed down their arms because of the mysterious nightime vision seen on that historic November night some ninety-three years ago. What a story. What a TV show. Take our word for it, THE VISION is beautifully written by screenwriter Larry Marcus and skillfully directed by Newland. It is thought-provoking and inspirational. If you take the time to get a copy, we promise it will not be soon forgotten. Is all human knowledge precious whether or not it serves the slightest human use? A. E. Houseman, the acclaimed English poet, certainly thought so. The entire staff at Needtovent agrees. Which war featured the first use of air-to-air combat? 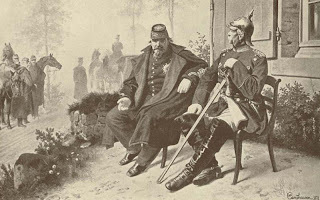 Yes, fellow pilots (Pontius and otherwise), the always crafty Prussian military used trained falcons to intercept and kill French carrier pigeons being used for communications.